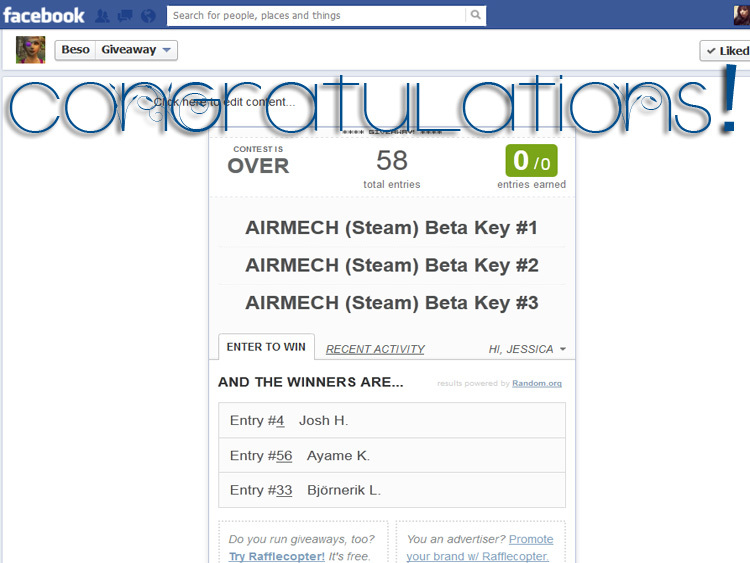 Posted on June 22, 2012, in Giveaways and tagged airmech, announcement, beta, game, gaming, giveaway, prize, prizes, winner, winners. Bookmark the permalink. Leave a comment.